Today I am going to show you how you can do a workout at home with resistance bands! #NoGymNoExcuses ! You do not NEED a gym membership to get a workout in. You pay to live where you are right? That is your gym membership! this is what I mean by #NoGymNoExcuses. You can workout in the privacy of your home. No more using the excuse “I can’t make it to the gym…I don’t have a gym membership.” You can do a lot of exercises at home with equipment that does not cost much at all. Some things you may not have to buy. Running outside is free last time I checked lol. I started using resistance bands because I wanted to tone and not bulk up. I did not lift weights for about least 6 months into my weight loss journey. I did strictly cardio. This was tough for me because I was use to lifting heavy weights. This picture was taken 2012/2013 or so. I had a 405 pound bench press. I was happy I got it up. Three reps to be exact. I had to let that all go when I was dropping my weight. I discovered resistance bands while researching how to tone your body. I still wanted to do cardio at the gym but wanted to do something from the convenience of my home. This was one of the first pieces of equipment I purchased in building my home gym. Resistance bands helps build ligament strength. You have to strengthen your ligaments in order to build better muscle. In this tutorial below I will give you a demonstration on some of the workouts I still do today. The great thing about resistance bands is that you can use them just about anywhere. This gives you better options in the variances of exercises you can do. This is the workout I did and would like for you to try. This workout is not just for men. Women, this is a great way to get yourself toned and build strength as well. There is nothing like working out in the privacy of your home. I am not against a gym membership. I love going to the gym. There are some days where my day is compact and I may not get there on time or simply put, I’m just not feeling it. We have all been there. Working out with resistance bands is one of the many pieces of equipment you can use to workout from home. Please watch the video below. Please subscribe and share this post! PURCHASE YOUR RESISTANCE BANDS HERE! 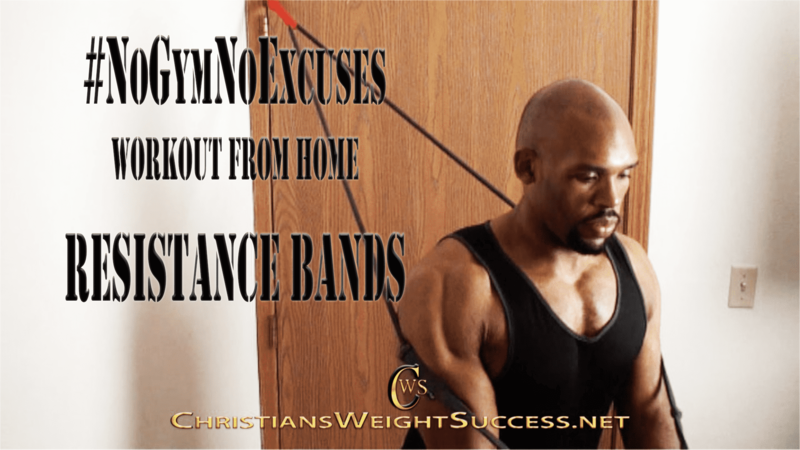 This entry was posted in #NoGymNoExcuses WORKOUT FROM HOME and tagged NoGymNoExcuses, resistance bands. Bookmark the permalink. The website looks great!! Congratulations! !